Preen Acres Cat Sanctuary rescues cats and kittens, restore them to health, and find them loving homes. Below are some of our adorable cats looking for their forever family. We have over 40 cats at the shelter. Please check out the pictures below and schedule a time to come visit. All adoptable cats are spayed or neutered, vaccinated, and treated for fleas. Cat and kittens are also treated for worms and ear mites, and litter box trained. Preen Acres Cat Sanctuary often has adoption promotions. For current adoption promotions and fees, check our facebook page. 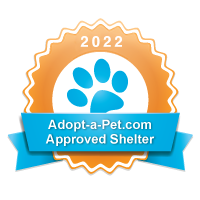 All Preen Acres Cat Sanctuary adopters must be 18 years or older, live in a house or apartment where cats are welcome, and have telephone or cell phone service. Monday through Wednesday - 12 pm to 5 pm Saturday and Sunday - 12 pm to 3 pm Adoption by appointment only, please call to schedule your visit. We encourage adopters to come as early as possible to spend time with all the cats and kittens available for adoption. We are ready to help you select the right cat or kitten for your lifestyle and home environment.